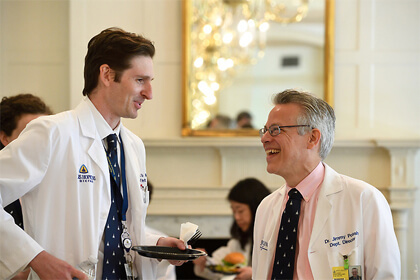 Also known as the Phipps Psychiatric Service, the program provides rigorous, wide-ranging training to prepare graduates to be excellent clinicians as well as leaders in teaching and research. Opportunities take the form of postdoctoral clinical and research fellowships, including NIH T-32 grants, as well as fellowships in adult and pediatric medical psychology. Welcome to the Johns Hopkins Department of Psychiatry and Behavioral Sciences! If you are looking for excellence in clinical care, research, and education in relation to mental disorders, you have come to the right place. This 18-minute video captures 100 years of Hopkins Psychiatry since the dedication of the Henry Phipps Psychiatric Clinic in 2013. Present-day clinicians, researchers, students, patients, and donors reflect on the history, guiding principles, and legacy of the last century and look ahead to the promises of the next century.